Kottayam Has a Heady Mix of Architectural And Natural Beauty. Kottayam is the pride of God’s own country with its abundant natural beauty, gorgeous churches, charming nearby hill stations, important temples, and refreshing waterfalls. The Western Ghats and the backwaters add to the beauty of this undisturbed, rustic town of Kerala. The numerous plantations of rubber, coconut, palm and spices make for lush green landscapes and lend a magical vibe to the place. You can start exploring the town with Vaikom – home to some of the most scenic backwaters of Kerala like Kumarakom. Additionally, it also houses rich historical places and heritage temples and the serenity and simplistic beauty of these places are unbeatable. Take a trip to the island of Pathiramanal located in Vembanad Lake. The journey to reach this striking island is replete with sights of rare birds, swaying coconut palms, and rippling waters. The unspoilt beauty, hidden paths and a lush vegetation gives you a fantastic break from city life. 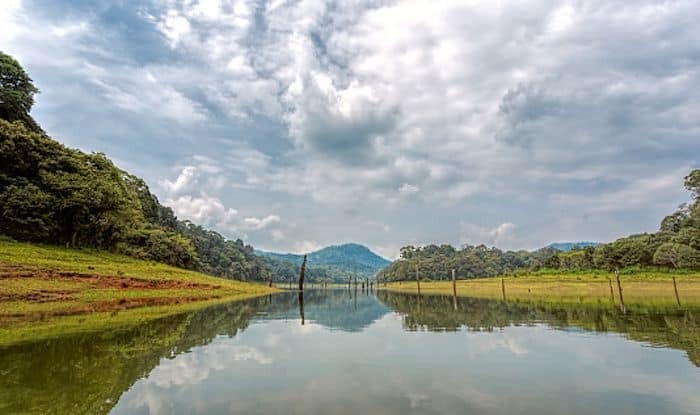 Two of the most offbeat places to visit near Kottayam, are the villages of Nattakom and Panachikkad located a few kilometres from the main city. These villages are known for their scenic landscapes, migratory birds, remarkable reservoirs and heritage temples. Kottathavalam, a hill station near Kottayam, is quite popular for short road trips. If you’re looking for a long drive through the mountaineous roads, and the subsequent exhilaration and thrill, don’t miss visiting here. Among one of the oldest churches near Kottayam is St. Mary’s Orthodox Church built in Portuguese style of architecture. The walls of the church have murals from the Bible; the heartfelt depiction will leave you in awe. Then there’s the 1,000 year old Juma Masjid located on the banks of the Meenachil river. Known for its wonderful architecture and beautiful wooden carvings, the grandeur of the mosque makes it look like a palace. Other attractions include Monroe Lighthouse that offers magnificent views of Kottayam, including the backwaters of beautiful Vembanad. And Kumarakom Bird Sanctuary, a nature lover’s paradise and a birder’s delight.